LEARN about the settlers, their challenges, personalities. VISIT milestone buildings and locations reflecting milestones in the colonial period such as the gold rush, gold boom, Eureka, Marvellous Melbourne, shipping. 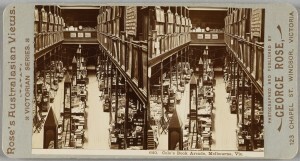 VIEW historic images, maps and documents. 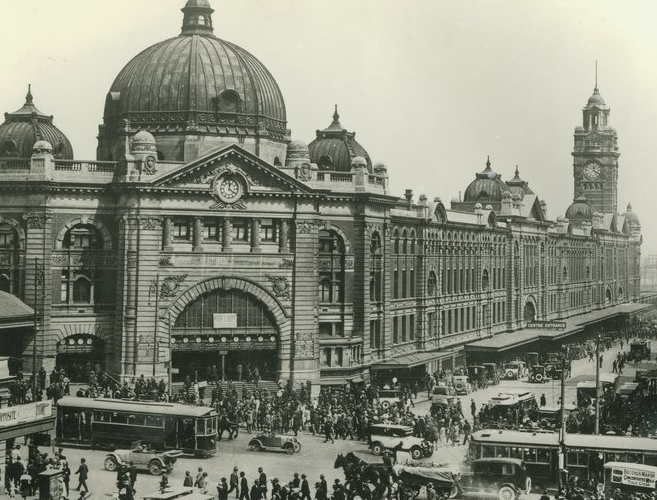 Students of all ages respond enthusiastically to this challenging and stimulating journey through the plazas, streets, lanes and arcades of the Melbourne CBD. This interactive two-hour program allows them to explore the events of the colonial period through Melbourne’s history, identity and culture by visiting places which tell stories about milestones from Indigenous origins to early settlement to gold rush expansion to Marvellous Melbourne to Federation. We can provide interactive activities e.g take them into buildings, handle artefacts, and examine images. Every student is assigned a different historic identity for the duration of the tour. They meet challenges in a fun way that promotes learning and questioning. We can design a specific mix of destinations and activities to meet your specific learning needs including from our many other school programs. 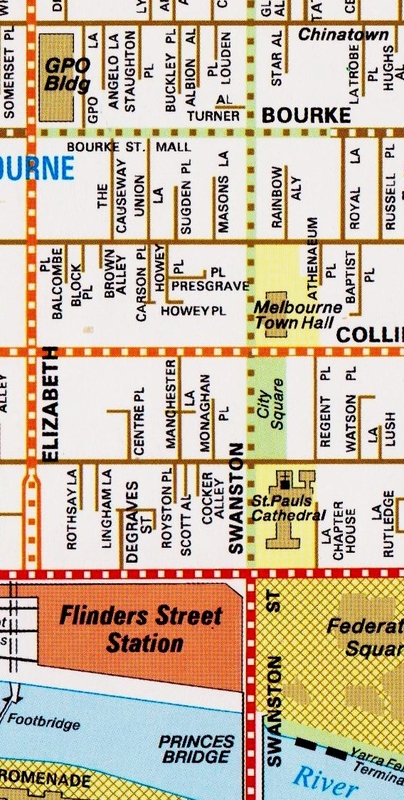 Tours usually start and finish at Federation Square or by arrangement. It was a very rich learning experience for our students and they thoroughly enjoyed it. The tour guides were professional, knowledgeable and entertaining – the students were engaged right from the beginning. Fed Square: Birth of Federation: Federation square celebrates the birth of the Australian nation. The Deakin Building celebrates Victorian Alfred Deakin 3 times Prime Minister and the father of Federation in Victoria. The plaza has nine visions of Federation in the 400,000 stone tiles in the plaza. plus Cambrian fossils. Eureka paved the way for the national ideal of ideals of a new nation, a democratic ‘working man’s paradise’ and created the national flag. 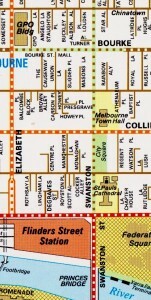 271 Collins: The confidence of the gold boom with Collins Street as world financial centre gave Melbourne a boost as ‘Marvellous Melbourne’, attracted international attention through the great exhibitions of the 1880s and inspired the Federation movement. 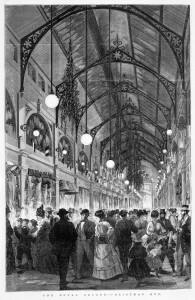 The Block Arcade 1891: Rise and Fall of Marvellous Melbourne’s Australia use of world technologies eg Singer and Kodak shops set Melbourne on the path to self-sufficiency and the confidence to create a new nation. The great crash of 1893 set back the federation movement however and the first referendum failed. The second was successful. 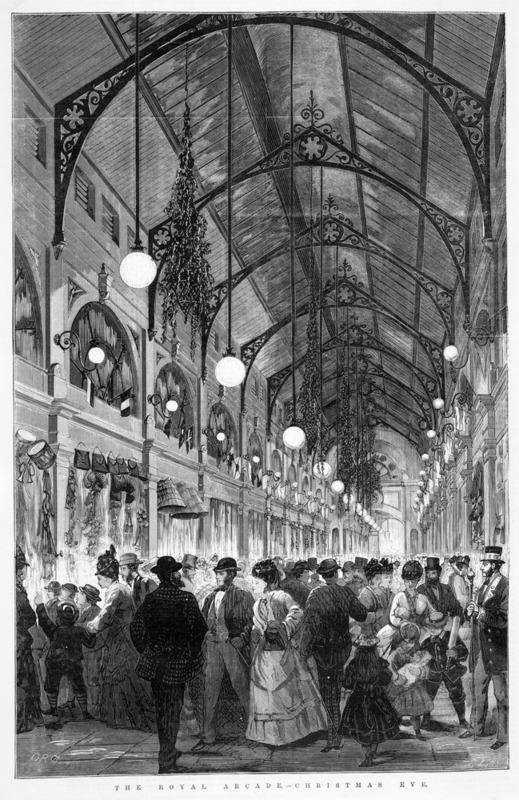 The 1880s – The Coles Book Arcade 1886: Nationalism, Federation, City of Literature. 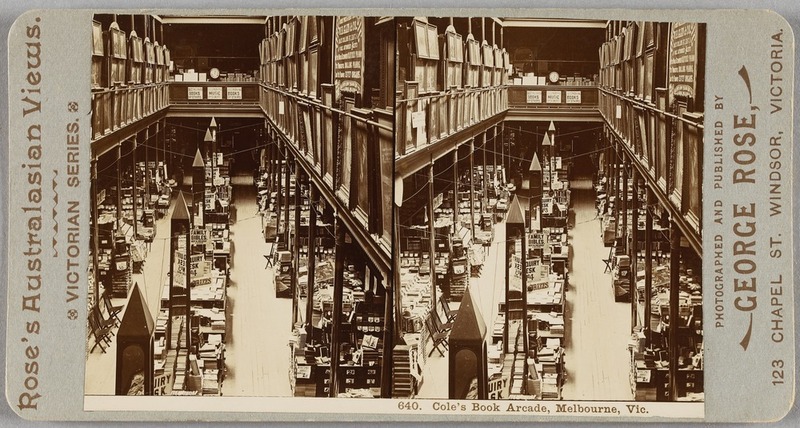 Coles saw education and books as the saving of the Australian Nation and also saw that racism would be disastrous for Australia. He was one of the few that supported the Chinese and bitterly opposed racism during federation. He also supported the equality of women, a world region and a world federation. Presgrave Lane: Federation saw the introduction of many new services such as sewerage, child care, schools and healthcare services that saved millions of lives. Gallipoli was the really the national birth of Australia where two-up was played. Federation gave the Commonwealth get the power to print Australian money for the first time. They created the first Australian penny in 1911.